Happy Nauryz! Nauryz is a new year holiday celebrated in Kazakhstan on or around March 21st. This year, I decided to be adventurous and cook a Kazakh meal for my family. It was my first time cooking Kazakh food, and recipes are difficult to find online, but with the help of my Peace Corps cookbook, I muddled through all right. For the first course, I made a cucumber-and-tomato salad. This was one of my favorite dishes during service, and it's really simple. All that's needed to top it off is a splash of oil and some salt. Easy and delicious! The main course was plov, which is also easy because it's just rice, meat, and carrots. I used strip steak and cooked it separately, sautéed the carrots, and then added both to the cooked rice. Some garlic and onions can flavor it up nicely. 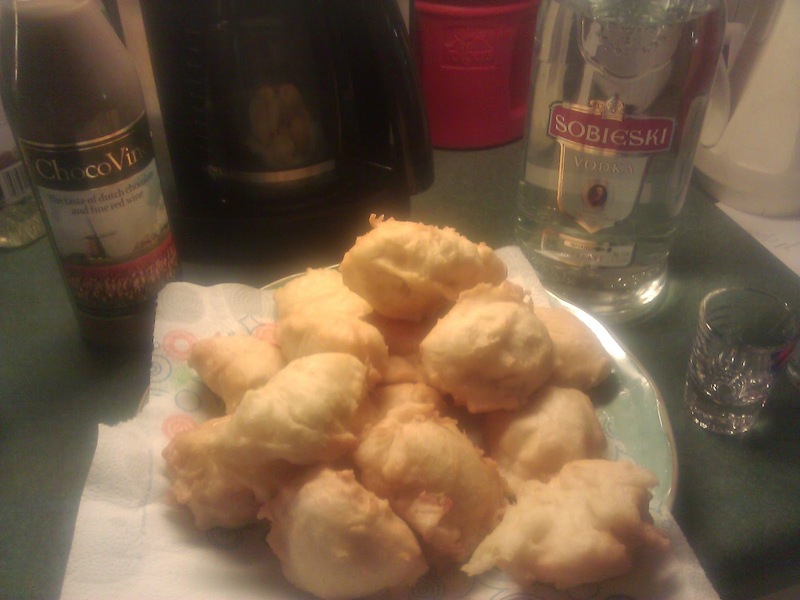 For dessert, I made baursaki, a doughnut-type dessert made especially for Nauryz. I managed to find a recipe for the dough online, and then I just fried them up. They were less lovely than the baursaki I remember eating over there, but they still tasted good! And to top it all off, vodka for a toast and some authentic Kazakh tea my babushka gave me before I left! My family said they liked everything, so I consider the meal a success.